When you don’t want to wait for car service, visit the honest, friendly staff at Harry’s Tire. In addition to repairing, replacing, and rotating tires, we offer comprehensive car maintenance services to our valued clients. We understand how difficult it can be to find time within your schedule to have your car or truck serviced. As a result, we don’t require appointments, and our experienced team will quickly get to work on diagnosing and fixing any issues with your vehicle while you enjoy our FREE WiFi. Let us take the hassle out of keeping your automobile in top operating condition. Our mechanics service all makes and models of vehicles, and we work on high-end foreign brands as well. Below is a list of repair services we offer. 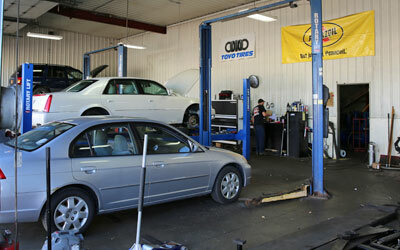 ​Feel free to call us with any questions regarding how we can help maintain the life of your vehicle. For convenient and reliable car service, you can turn to us. At Harry’s Tire, we are committed to customer satisfaction. We accomplish this by providing our customers with top notch service and premium parts at a competitive price. All our services are first-come-first-serve, allowing for efficient service on the customer’s schedule. Please call us today if you have any questions about a service not listed. We will try to help you in any way we can!